the 2 best coen Bros movies (IMO), both capturing what is so great about their dark comedy, coming one after the other in 1996 and 1998. thought I'd make a poll to see which is the badmovies favourite! I thought FARGO was a classic straight away, but it took me at least 4 goes to 'get' BIG LEBOWSKI. 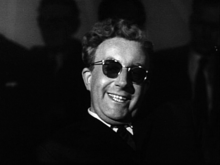 Initially I thought it wasn't funny, and was just a clumsy mis-fire for the Coens. I don't know why or how but on about my 4th attempt to watch it (I never even made it to the end the other times) I suddenly found it to be hilarious. that pretty much never happens with me, I usually like a movie or don't and never change my mind. However I think FARGO still edges it, absolute classic in every sense. Totally absorbing from start to finish and a great story. I pick LEBOWSKI, though not by a very wide margin. FARGO is a more straightforward story while there's a lot of little nods & details going on in LEBOWSKI that make it more re-watchable. Marge is probably the Coens' greatest character though. When i'm in the mood for something darker, Fargo. When I want something lighter, I'm in the mood for the Dude. This is a VERY tough call - my sentiments echo those of Chaos I'd say, but I would probably give the slight edge to Fargo. I feel that Fargo is the better movie, but Lebowski is definitely more rewatchable. I dig O Brother, though. Hehe, I was instantly reminded of that Simpsons clip when I read that JayJay post, Chaos. "Bar-ton Fink! Bar-ton Fink!" Both are good for different reasons but Lebowski wins it for me as its hard to go a month without quoting something from it. it took me at least 4 goes to 'get' BIG LEBOWSKI. Initially I thought it wasn't funny, and was just a clumsy mis-fire for the Coens. I've tried watching Lebowski twice and shut it off about 15-20 minutes in both times. I had all these friends saying that I just had to see it but I thought it was totally lame. 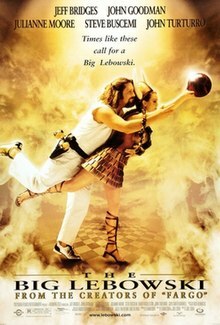 The Big Lebowski's style of humor was completely lost on me. That was at least ten years ago. Maybe I'll try watching it again. After all, I hated Anchorman: The Legend of Ron Burgundy on my first viewing but two years later I watched it and now it's one of my all time favorite comedies.